we’ve found your new favorite hotspot! It’s been hiding underneath the mountains of the Rockies and in the heart of downtown Salt Lake City. There you’ll find the illuminated entrance to a seedy-looking well kept secret brasserie, an entrance so raw, authentic and unforgiving as to give you no reassurance whatsoever that it’s not exactly what it appears to be. Having ventured inside you’ll find a glass tower cabinet of fine spirits stacked to the endless ceiling. Assuming that you have a special reservation, you’ll be invited to descend through the back of the restaurant, into a candlelit cave serving hand crafted cocktails and a menu that includes brothel burgers and sabayon brûlée. It’s a buzzing, sophisticated & upscale den enveloped by battered concrete walls; old reminants of the lady of night clothing; two large, deconstructed old lockers mustering on their last legs; and – most surprisingly of all – other patrons, all of whom have somehow managed to have lost their way down the same two bit street as you. though her birthplace and birthdate was of a mystery, her profession was not. 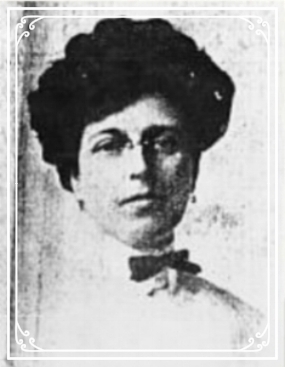 Dora B. Topham, known as "Belle London", one of Utah's most notorious madams in early 1900's was the head of an organized prostitution ring in Ogden, located in what is now Historical 25th Street. She used the London Ice Cream Parlor as a front for one of her brothels. At the time, Salt Lake City government leaders chose Belle London to run an officially sanctioned block of prostiution in the city, making her the only state-sanctioned madam in Utah history. Even though her profession was taboo, Belle saw this as an opportunity to do good by confining the necessary evil of prostitution by decreasing diseases, and at the same time pulling a profit. She built about 100 tiny cribs known as the stockade for the prostitutes who paid $1-$4 rent per day, and parlor houses, ran by landladies and staffed by women. After less than three years of business, she closed the Stockade and The cribs were quickly demolished. She was sentenced to 18 years in prison for inducing a 16-year-old into the Stockade. the Utah Supreme Court eventually reversed the conviction. Belle wanting to forget her past life, moved to California with her two daughters. Belle died a few years later from injuries sustained after two cars slipped and crushed her while helping an employee tow their vehicle. With her sudden death in 1925, a business associate wrote about her as always wanting to aide the poor, had a generous heart, and a desire to turn a frowned upon profession into a speakeasy that stimulated the senses. Honoring the building's rumored past what is now London Belle, and Belle London as the muse, you'll be immersed in a boudoir-style supper club; a venue where you can eat, drink, socialize, lounge, and on certain nights, -Dance.